Apart from the economic effects of the occupation of Hebron, the settlers make the lives of Palestinians miserable and often violently attack them. It has been 24 years since Jewish Israeli terrorist Baruch Goldstein killed 29 Muslim worshipers in Alkhalil Hebron’s Ibrahimi mosque, known to Jews as Cave of the Patriarchs. The attack happened during dawn prayers in the Muslim holy month of Ramadan. Goldstein was an immigrant from New York to Israel who was active in the extremist Kach political movement in the nearby Israeli settlement of Kiryat Arba and he was known to Israeli intelligence. He was found and beaten to death by a crowd soon after the massacre. Following the massacre, the Israeli government enhanced security for settlers across occupied Hebron. In addition, the Ibrahimi mosque was divided, with Muslim access reduced to approximately 40% of the site. The other 60% was allocated to Jewish worshippers, who entered the site from a separate entrance. The Palestinians saw this as a reward for Israeli terrorism. The security measures, which prevail to this day, saw parts of the city near illegal Israeli settlements closed to Palestinian residents. Hebron is the largest city in the West Bank, which the Palestinian Central Bureau of Statistics said is home to more than 200,000 Palestinians and some 800 illegal Jewish settlers, which Israel moved into the old quarter of the city after its occupation in 1967. The settlers are protected by an entire military brigade. The Hebron Protocol, signed by Binyamin Netanyahu in January 1997, during his first term as Israeli prime minister divided the city into two sections: H1, 80% of the city under full Palestinian control; H2, where four Jewish neighbourhoods are located under full Israeli control but includes 40,000 Palestinian residents. Since 2015, Israel has declared various parts of the old city “closed military zones,” forcing Palestinian shops to close. Up to 18 military checkpoints have been set up around the entrance to the mosque and to control access to Palestinians and visitors to the old quarter. 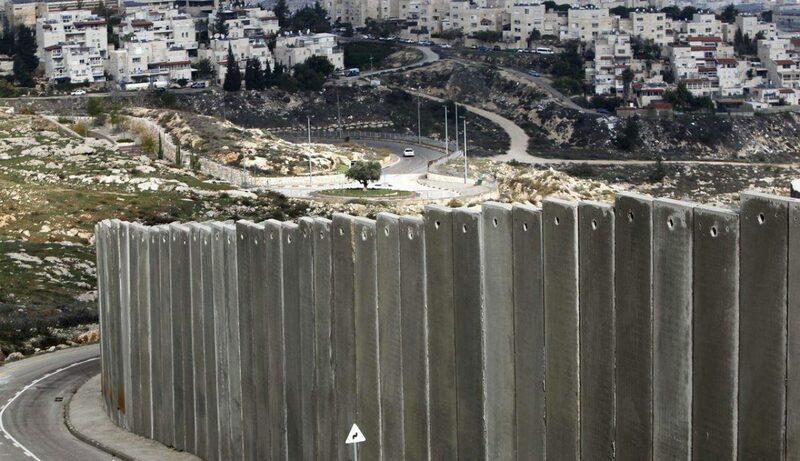 The security arrangements bring continuous misery to the Palestinian residents who face daily oppression through the need for permits to enter their homes, restrictions on vehicle movement causing them difficulties in bringing in goods and materials to homes and businesses. Hebron makes a major contribution to the Palestinian economy, including 40% of its GDP and 40% of its exports, the Palestine Economy Portal stated. Hebron contributes one-third of animal production in the West Bank. However, Israel’s repeated closures and restrictions on economic activity have restricted the city’s potential to lead Palestine’s economic development and is heavily affected by the occupation. Its centre has been devastated through the forced closure of businesses, including those on the famous Shuhada Street, the main thoroughfare and commercial hub of Hebron (next to which three of the four Jewish neighbourhoods are located). The street, which is closed to Palestinian traffic, looks like a scene from a ghost town. Apart from the economic effects of the occupation of Hebron, the settlers make the lives of Palestinians miserable and often violently attack them. Children in the centre of the city often need to be accompanied to school to protect them from settler abuse and violence. Rather than the Israeli military protecting the children, they protect the settlers. Since the Palestinian uprising in 2015, the Israeli military has carried out several extrajudicial killings in Hebron, alleging potential knife attacks by Palestinians. This includes the Elor Azaria’s infamous killing of Abdul Fattah al-Sharif, who was lying on the ground heavily injured. The shooting was captured on camera and outraged Palestinians and their supporters. Israel’s providing full protection and access to Jewish settlers in the city and designating roads as settler-only have brought accusations that it implements discriminating policies in the city. The city’s future is likely to see further restrictions on the lives of Palestinians and an embodiment of the settlers, particularly following the naked bias of the US administration in favour of Israel through its recent decisions that culminated in its recognition of Jerusalem as Israel’s capital. Israel is likely to reinforce its grip on the city, making the lives of Palestinians in its centre so miserable that they will move out to escape the terror of the settlers and the military. Israel may expand the presence of the settlers, helping to take more Palestinian homes and to build new illegal housing units as it did in 2017 following the UNESCO decision to list Hebron’s old city as an endangered Palestinian world heritage site. The Palestinians face a battle with Israel not only over Jerusalem but also over Hebron.